Hey, Magic 8 Ball - will the DS version look this good? 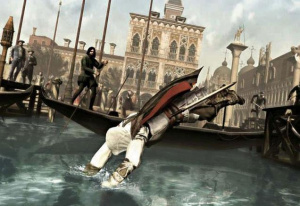 Although 2008's Assassin's Creed: Altair's Chronicles for DS may not have been one of the machine's most memorable titles, that hasn't deterred Ubisoft from putting together a sequel for the little handheld. The ESRB have just posted a rating for Assassin's Creed II: Discovery, and although the listing is predictably low on information it does give a few bits away, confirming the title is "a side-scrolling action game set during the Renaissance". Meaty. 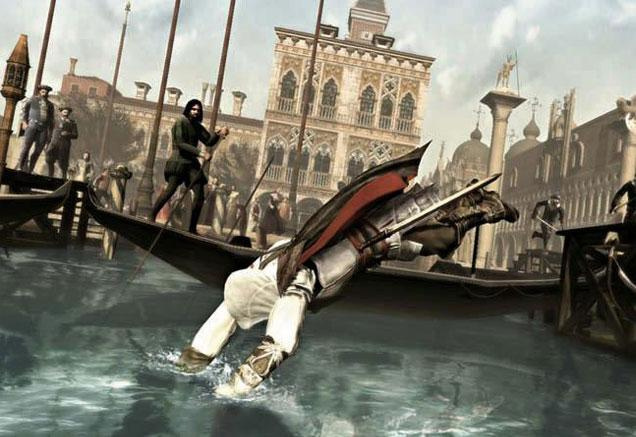 With the hype machine for the home console Assassin's Creed II sure to gear up over the next few weeks, expect to see the first official confirmation and screenshots of Assassin's Creed II: Discovery for DS up here on Nintendo Life as soon as we have them in our sweaty, assassinating mitts. Holy cow! Awesome news. Those screenies look sweet too. Those screens are from the first AC DS game if I'm not mistaken. Ahh okay. I didn't know a DS AC existed. Yes, the screenshots were for the original Assassin's Creed on DS - now available for a bargain price at a store near you! I've altered the post to make it apply to the new AC, rather than the original. Apologies for any misunderstanding, guys! No.1 on the DS was average imho.. But will it be any good? The first one had very good graphics and sounds but it was very boring. I liked the first one, this could be cool. We know, rkhalliday - that's why it asks if the DS version will look this good, rather than saying, "this is the DS version - doesn't it look good?" "Let's see what will come"